You are here: The Arts at Carleton > Art Gallery > EveryBody! 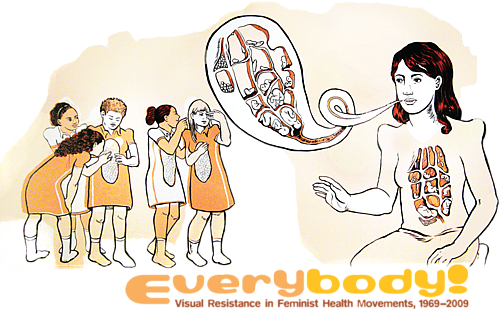 EveryBody!, curated by artist Bonnie Fortune, presents work by artists and activists representing historical and visual exchanges around feminist health movements. The exhibition, featuring posters, ephemera, zines, multimedia artworks and other visual artifacts, begins with the late 1960s and traces evolving creative responses to issues surrounding the health needs of women, men, and transgendered people.